Fire Engine Truck - Pinewood Derby Design - INSTANT DOWNLOAD! "My son's father is a fireman and his hero so he wanted to make a fire truck. This plan nailed it on the head and took first place! My son and husband will have memories for a lifetime." Build this hot Fire Engine pinewood derby car with our step-by-step plan! Burn the competition all the way to the finish line! Plus you can watch your car rotate around with a 360 degree animation so you can view it from all angles! 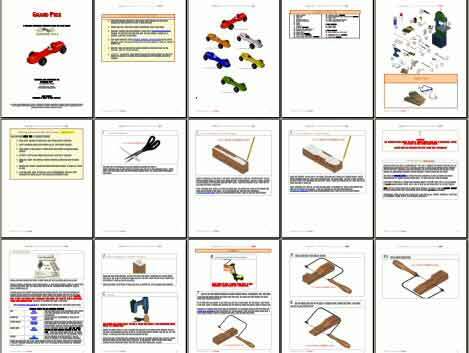 Pinewood Pro 3D Pinewood Derby car designs are the best on the market, guaranteed!